AGGRESSIVE SOCKETS - The easiest way to remove a protruding pipe plug, like rear cam galley plugs, is to use a stud remover socket of the appropriate size. These have a very aggressive, tapered left-handed threaded inside that really digs into the outside of the plug making removal simple. These have a much larger area of grip than allen sockets. We don’t even bother trying to remove these plugs any other way! 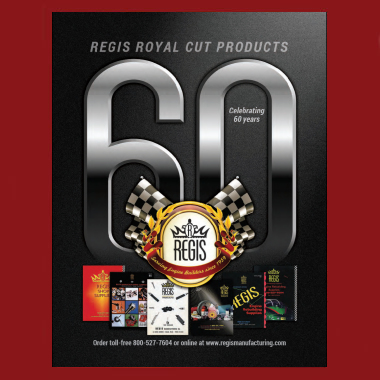 Whats Happening at Regis Manufacturing! Announcing the arrival of our brand new e-commerce store. You can now buy online 24 hours a day 365 days per year. You can track your order history and keep up to date on your important shipments with a few clicks of the mouse!